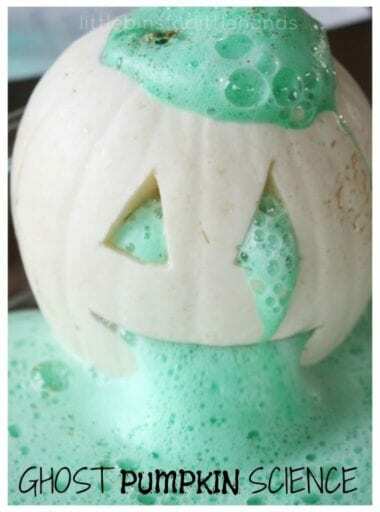 24 Fun Halloween Classroom Crafts, Activities, and Games to Try! 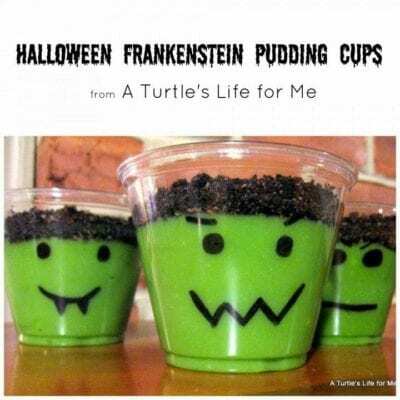 Mix fun and learning this Halloween season. Delight your little ghouls and goblins with these spook-tacular Halloween games, crafts, and activities for your classroom. Your students will be so distracted with their wickedly wild fun that they won’t even realize that they’re also learning. 1. Try candy corn math. We’ve got some fun printables to get you started. 2. 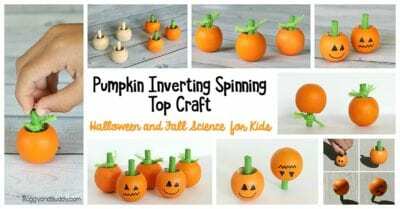 Make spinning pumpkin tops. First paint then play with these adorable little pumpkin spinning tops that “break dance,” while teaching a lesson in physics. 3. Experiment with Halloween candy. We love these easy ideas that will challenge students to think like scientists! 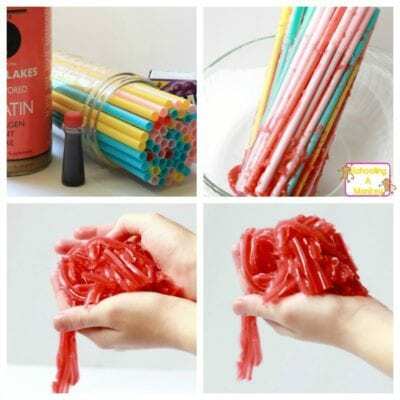 Most kids love to get their hands on anything that oozes. Add eyeballs into the mix, and it’s a recipe for thrills and chills. 5. 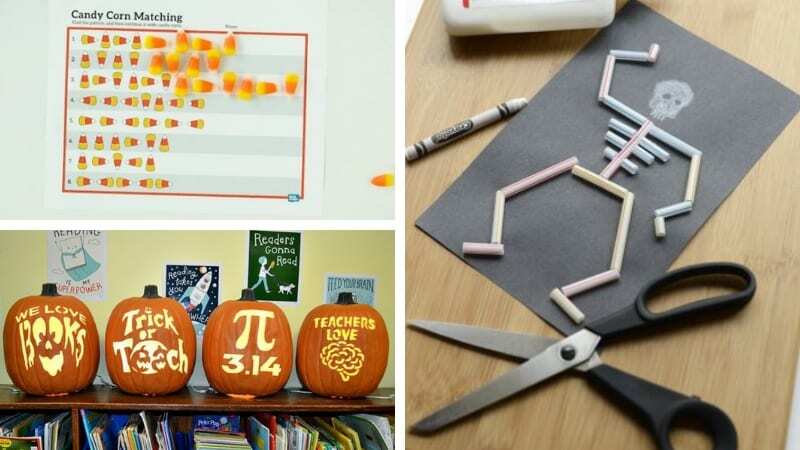 Carve reading- and math-themed pumpkins. Click on the link above to get your free templates! Insert a little biology lesson about the skeletal system when you work on these bone-chilling skeletons for Halloween. 7. Do some Halloween writing. Our free writing paper is spook-tacular! 8. 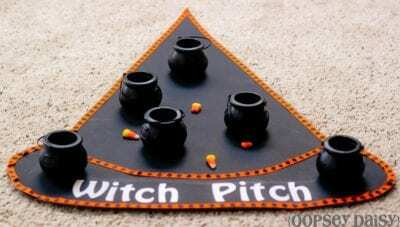 Play Witch Pitch . Test the students’ candy-tossing abilities with a themed game but encourage them not to eat all the candy corn before they start playing! What kid wouldn’t love to see a ghost rocket through the air? This project is definitely meant for the outdoors, though. 10. 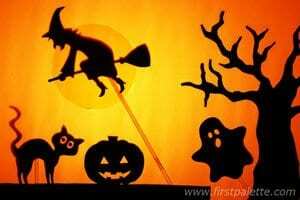 Create Halloween shadow puppets. Tie this shadow puppet activity with a Halloween-themed story (or have the kids write their own!). 11. 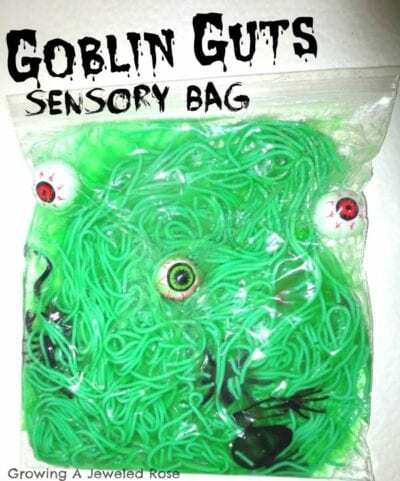 Make a goblin guts sensory bag. 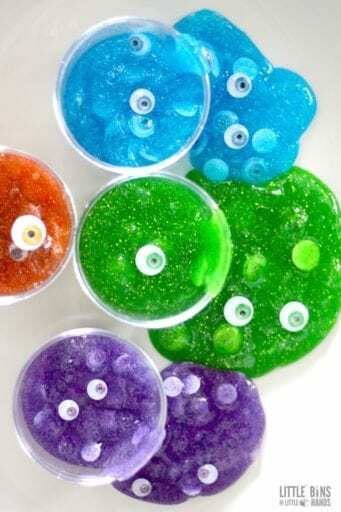 This disgustingly delightful sensory bag gives kids a feel of icky goo, without the mess. Check out the Growing a Jeweled Rose blog for more Halloween-themed sensory bags. 12. Make a pumpkin volcano. Pumpkins are just waiting to be made into a science experiment, aren’t they? These pumpkin-canos will cause kids to erupt with sheer excitement. 13. 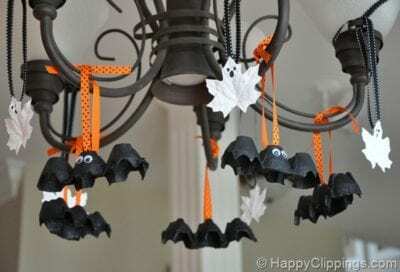 Make egg carton bats and leaf ghosts. These cute little Halloween creatures are fun to make and hang around your classroom this season. 14. Write pumpkin patch stories. 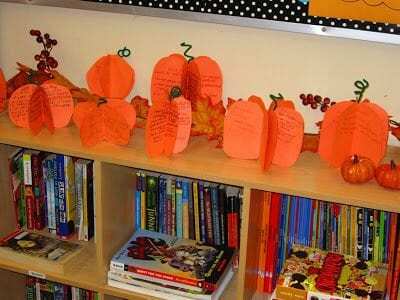 This teacher waved her magic wand and turned plain old pumpkins into a beautiful lesson in story elements. 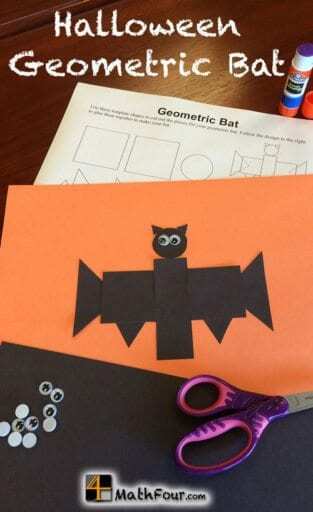 Teach a lesson in shapes and geometry while making this friendly bat. 16. 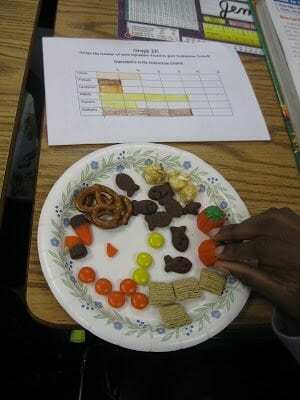 Make—and graph—a seasonal treat. Students learn about mixtures and solutions in this experiment. And as a bonus they get to eat the treats afterward! Learning how to add and subtract decimals is fun when candy is involved! 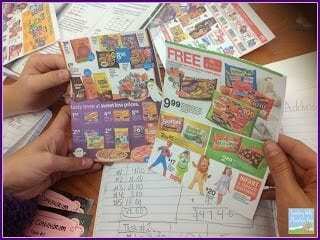 Bring in some Halloween candy ads for a comparison shop of the best candy prices in town. 18. Experiment with Jell-O brains. Gross out your students with this mound of Jell-O that closely resembles brains. Incorporate a science lesson and dare them to try a bite afterward. 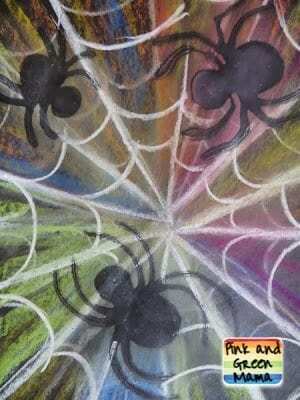 This tried-and-true art technique uses colored chalk and school glue to make some pretty awesomely creepy spiders. 20. Make a ghost dance. Isn’t science fun? 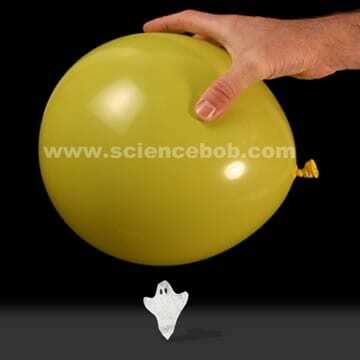 Make this cute little tissue ghost dance with just a balloon and a little static electricity. 21. 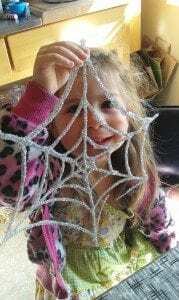 Make glittery spider webs. If the words glitter and glue in the same sentence put you in a mild panic, this project is probably not for you. But if you give it a try, you’ll love the results. 22. 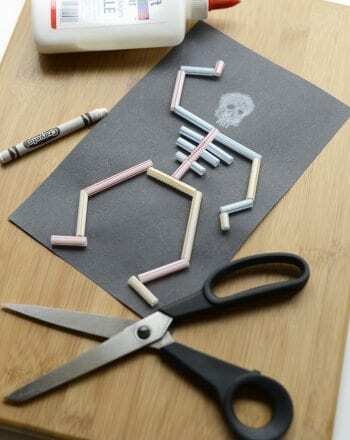 Create cotton swab skeletons. This activity can be tailored to kids of all ages, depending on how “realistic” you want your skeleton to be, using cotton swabs and glue. We love this collection of learning and fun ideas based on everyone’s favorite monster, Frankenstein. 24. 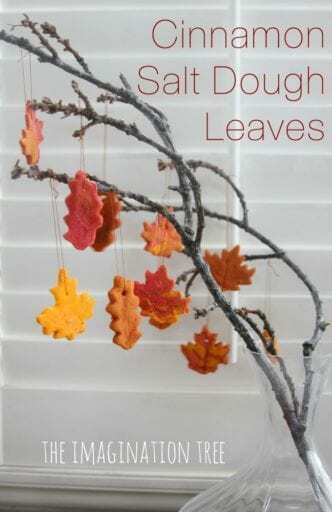 Make cinnamon leaf ornaments. Add a little spice to your salt dough recipe to make these sweet-scented ornaments to adorn your classroom. What are your favorite Halloween classroom games and activities? Come and share in our WeAreTeachers HELPLINE group on Facebook. Plus, our favorite Halloween books and teacher costumes.